We bring to the attention of Global Research readers the Abstract of an important scientific study pertaining to the Zika virus outbreak. An unexpected upsurge in diagnosis of fetal and pediatric microcephaly has been reported in the Brazilian press recently. Cases have been diagnosed in nine Brazilian states so far. By 28 November 2015, 646 cases had been reported in Pernambuco state alone. Although reports have circulated regarding the declaration of a state of national health emergency, there is no information on the imaging and clinical findings of affected cases. Authorities are considering different theories behind the ‘microcephaly outbreak’, including a possible association with the emergence of Zika virus disease within the region, the first case of which was detected in May 2015. Zika virus is a mosquito-borne disease closely related to yellow fever, dengue, West Nile and Japanese encephalitis viruses. 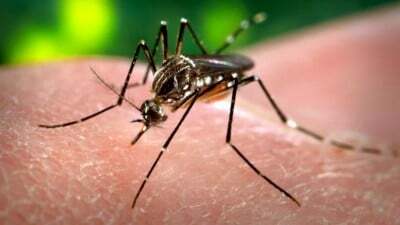 It was first identified in 1947 in the Zika Valley in Uganda and causes a mild disease with fever, erythema and arthralgia. Interestingly, vertical transmission to the fetus has not been reported previously, although two cases of perinatal transmission, occurring around the time of delivery and causing mild disease in the newborns, have been described. We have examined recently two pregnant women from the state of Paraiba who were diagnosed with fetal microcephaly and were considered part of the ‘microcephaly cluster’ as both women suffered from symptoms related to Zika virus infection. Although both patients had negative blood results for Zika virus, amniocentesis and subsequent quantitative real-time polymerase chain reaction, performed after ultrasound diagnosis of fetal microcephaly and analyzed at the Oswaldo Cruz Foundation, Rio de Janeiro, Brazil, was positive for Zika virus in both patients, most likely representing the first diagnoses of intrauterine transmission of the virus. The sequencing analysis identified in both cases a genotype of Asian origin. In Case 1, fetal ultrasound examination was performed at 30.1 weeks’ gestation. Head circumference (HC) was 246 mm (2.6 SD below expected value) and weight was estimated as 1179 g (21st percentile). Abdominal circumference (AC), femur length (FL) and transcranial Doppler were normal for gestational age as was the width of the lateral ventricles. Anomalies were limited to the brain and included brain atrophy with coarse calcifications involving the white matter of the frontal lobes, including the caudate, lentostriatal vessels and cerebellum. Corpus callosal and vermian dysgenesis and enlarged cisterna magna were observed (Figure 1). Figure 1. Case 1: (a) Transabdominal axial ultrasound image shows cerebral calcifications with failure of visualization of a normal vermis (large arrow). Calcifications are also present in the brain parenchyma (small arrow). (b) Transvaginal sagittal image shows dysgenesis of the corpus callosum (small arrow) and vermis (large arrow). (c) Coronal plane shows a wide interhemispheric fissure (large arrow) due to brain atrophy and bilateral parenchymatic coarse calcifications (small arrows). (d) Calcifications are visible in this more posterior coronal view and can be seen to involve the caudate (arrows). In Case 2, fetal ultrasound examination was performed at 29.2 weeks’ gestation. HC was 229 mm (3.1 SD below expected value) and estimated fetal weight was 1018 g (19th percentile). AC was below the 3rd percentile but FL was normal. The cerebral hemispheres were markedly asymmetric with severe unilateral ventriculomegaly, displacement of the midline, thinning of the parenchyma on the dilated side, failure to visualize the corpus callosum and almost complete disappearance or failure to develop the thalami. The pons and brainstem were thin and continuous with a non-homogeneous small mass at the position of the basal ganglia. Brain calcifications were more subtle than in Case 1 and located around the lateral ventricles and fourth ventricle. Both eyes had cataracts and intraocular calcifications, and one eye was smaller than the other (Figure 2). Figure 2. Case 2: (a) Anterior coronal view shows severe asymmetric ventriculomegaly with cystic formation (arrow). (b) Posterior horn of the lateral ventricle (LV) in coronal view is dilated. Note calcifications in the fourth ventricle (arrows). (c) The thalamus is absent (arrow) and the brainstem and pons are thin and difficult to visualize (sagittal view). (d) Axial view shows calcifications in both eyes (arrows). Note that the proximal eye is very small and lacks normal anatomic landmarks. In the meantime, in Paraiba state, six children diagnosed with Zika virus were born to mothers who were apparently symptomatic during pregnancy, all of them with neonatal HC below the 10th percentile. Fetal neurosonograms showed two cases with cerebellar involvement and three with brain calcifications. One had severe arthrogryposis. Intrauterine infections affecting the brain are relatively rare; cytomegalovirus (CMV), toxoplasmosis, herpes virus, syphilis and rubella are well known vectors of fetal disease. Among the Flaviviruses there have been only isolated reports linking West Nile encephalitis virus to fetal brain insults. The presence of calcifications was suggestive of an intrauterine infection but severe damage of the cerebellum, brainstem and thalami is rarely associated with intrauterine infection. Both cases showed some similarities to CMV cases but with a more severe and destructive pattern and they lacked the nodules characteristic of toxoplasmosis. Interestingly, the reported case of fetal West Nile virus infection has similar characteristics. It is difficult to explain why there have been no fetal cases of Zika virus infection reported until now but this may be due to the underreporting of cases, possible early acquisition of immunity in endemic areas or due to the rarity of the disease until now. As genomic changes in the virus have been reported, the possibility of a new, more virulent, strain needs to be considered. Until more cases are diagnosed and histopathological proof is obtained, the possibility of other etiologies cannot be ruled out. As with other intrauterine infections, it is possible that the reported cases of microcephaly represent only the more severely affected children and that newborns with less severe disease, affecting not only the brain but also other organs, have not yet been diagnosed. If patients diagnosed in other states are found to be seropositive for Zika virus, this represents a severe health threat that needs to be controlled expeditiously. The Brazilian authorities reacted rapidly by declaring a state of national health emergency. As there is no known medical treatment for this disease, a serious attempt will be needed to eradicate the mosquito and prevent the spread of the disease to other Brazilian states and across the border. 1 Campos GS, Bandeira AC, Sardi SI. Zika Virus Outbreak, Bahia, Brazil. Emerg Infect Dis 2015; 21: 1885–1886. 2 Ioos S, Mallet HP, Leparc Goffart I, Gauthier V, Cardoso T, Herida M. Current Zika virus epidemiology and recent epidemics.Medecine et maladies infectieuses 2014; 44: 302–307. 3 Besnard M, Lastere S, Teissier A, Cao-Lormeau V, Musso D. Evidence of perinatal transmission of Zika virus, French Polynesia, December 2013 and February 2014. Euro Surveill 2014; 19. 4 Lanciotti RS, Kosoy OL, Laven JJ, Velez JO, Lambert AJ, Johnson AJ, Stanfield SM, Duffy MR. Genetic and serologic properties of Zika virus associated with an epidemic, Yap State, Micronesia, 2007. Emerg Infect Dis 2008; 8: 1232–1239. 5 Centers for Disease Control and Prevention (CDC). Intrauterine West Nile virus infection–New York, 2002. MMWR Morb Mortal Wkly Rep 2002; 51: 1135–1136. 6 Faye O, Freire CC, Iamarino A, Faye O, de Oliveira JV, Diallo M, Zanotto PM, Sall AA. Molecular evolution of Zika virus during its emergence in the 20(th) century. PLoS Negl Trop Dis 2014; 8: e2636. 7 Goenaga S, Kenney JL, Duggal NK, Delorey M, Ebel GD, Zhang B, Levis SC, Enria DA, Brault AC. Potential for Co-Infection of a Mosquito-Specific Flavivirus, Nhumirim Virus, to Block West Nile Virus Transmission in Mosquitoes. Viruses 2015; 7: 5801–5812.